Long before Steve Nash, and Jamal Magloire, and all those other Canadians who played in the NBA, and long before the NBA returned to Canada in 1995 with the Toronto Raptors and the Vancouver Grizzlies, there was a group of relatively unknown Canadians who shocked the basketball world. The year was 1983, and the setting was the World University Games in Edmonton, Alberta. The Canadian men's basketball team was assembled from a group of college players, mostly from Canadian schools, but also a few American NCAA schools. At the time, the University of Victoria Vikings ruled men's basketball, and they were well-represented at the Universiade. The team was coached by Jack Donohue, who had more success with the Canadian national team in international play than any other coach. He took them to fourth place finishes in the 1976 and 1984 Olympic Games. No one knows what could have happened in 1980, but Canada chose to boycott the games that year, held in Moscow, over the Soviet Union's aggression in Afghanistan. He also coached Lew Alcindor in high school. Alcindor would go on to become Kareem Abdul-Jabbar, one of the greatest college and professional players in history. There is not a lot of information readily available on the 1983 World University Games tournament. We pick up the story after Canada managed to make it all the way to the semi-finals. Awaiting them were the heavily-favoured and star-studded team from the United States. 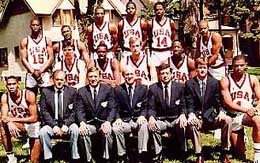 According to USA Basketball, the Americans had captured four straight gold medals and were loaded with talent. The team featured Charles Barkley, Karl Malone, Johnny Dawkins, Ed Pinckney, and Kevin Willis. They cruised to the semi-finals with five straight wins, including a 156-75 win over Lebanon. In fact, the Americans hit or surpassed 100 points in each of their first four games. Their first test came against Cuba, but the U.S. still won by 15. This team averaged 112.7 points and had six players average in double figures. Back in those days, unfortunately, it was before TSN or Sportsnet, so there was no wall-to-wall sports coverage. We missed the game that shocked the world. In front of 10,000 fans at the Butterdome in Edmonton, Canada defeated that world powerhouse the United States of America. It was not even that close, as Canada won by a score of 85-77, connecting on 29 of 40 free throws. The win put them in the gold medal game against Yugoslavia, who was led by future NBA star Drazen Petrovic. By then, the Canadian team had drawn some attention. The game was broadcast on CBC, and I stayed up relatively late to watch it. So, on the campus of the University of Alberta, on a warm Saturday night, a group led by players with names such as Pasquale, Triano, Wiltjer, Kazanowski, and Tilleman, Team Canada claimed gold by defeating Yugoslavia, by a score of 83-68. Eli Pasquale – Drafted in the fifth round of the 1984 NBA draft by the Seattle Super Sonics, and played professionally in Argentina and Europe. 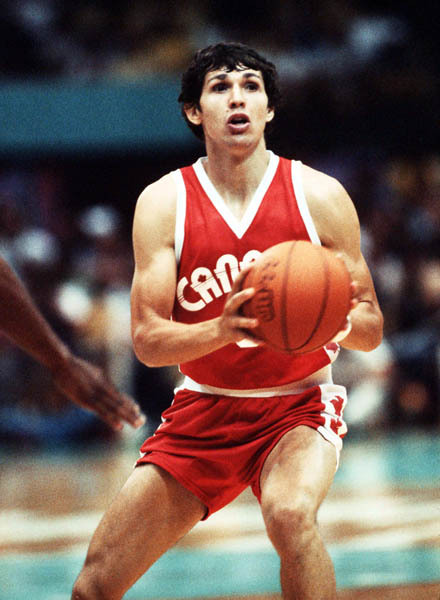 Jay Triano – Drafted in the eighth round of the 1981 NBA draft by the Los Angeles Lakers, and played professionally in Mexico and Turkey. 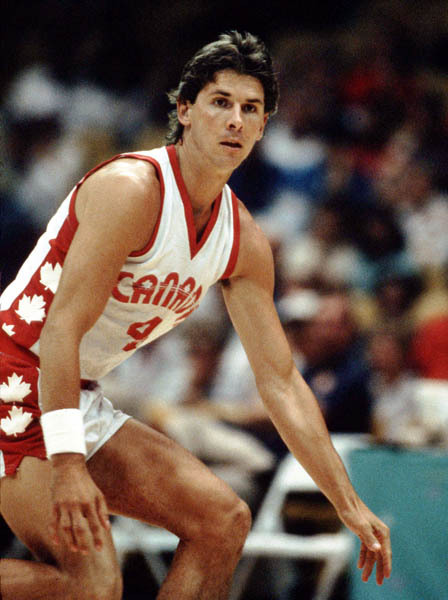 He went on to coach the Toronto Raptors, and is in his second stint as head coach of the Canadian national team. Greg Wiltjer – Drafted in the second round of the 1984 NBA draft by the Chicago Bulls, playing professionally for 12 seasons in Italy, Spain, and Greece. His son Kyle currently plays for the Kentucky Wildcats. Gerald Kazanowski – Drafted in the seventh round of the 1983 NBA draft by the Utah Jazz, and played professionally for teams all over Europe including Spain, and Argentina and Mexico. 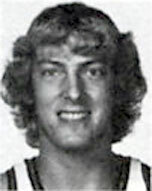 Karl Tilleman – Drafted in the fourth round of the 1984 NBA draft by the Denver Nuggets. Danny Meagher – Drafted in the sixth round of the 1985 NBA draft by the Chicago Bulls, playing professionally overseas for eight years in Europe. Bill Wennington – Drafted in the first round of the 1985 NBA draft by the Dallas Mavericks, and would go on to win three NBA championships with the Chicago Bulls. 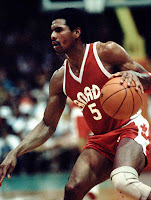 Howard Kelsey – Played professionally in Mexico, and now is heavily involved in Basketball Canada. Tony Simms – Drafted in the sixth round of the 1983 NBA draft by the New York Knicks. As much talent as the Americans had, that was not on the team, Canada had had two first-round picks who could have played for them as well: Leo Rautins and Stewart Granger. It's funny how things can stick with you. I remember this team so well, and it has been 30 years since they won that gold medal. I remember the way Pasquale controlled the tempo of the game, and how Kazanowski dominated the boards. He wore this big bandage on his chin from a cut he suffered in a previous game. He also had this uncanny ability to find the open man, especially with the baseball pass. The announcers even said he had become proficient at it at UVic where he often connected with his brother. Wiltjer was another great post player, and Triano was the perfect complement to Pasquale in the back court. 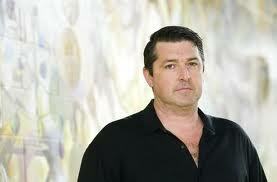 Tilleman was the one I knew best from his time at the University of Calgary. He was just a deadly outside shooter. As I watched that gold medal game, I hoped so bad he would play, and he did, but not that much. He was a guard too, and it was difficult to displace Pasquale and Triano. Recently I just realized something as well. Four short years after the Canadians won gold, I was playing basketball on that same court when I attended the University of Alberta. A year after that, I was even playing ball wearing a UVic sweater, a gift from my sister who went there in 1988. Anyway, maybe some day the Canadian Basketball Hall of Fame will see how important this team really was and induct them. After all, they are some of the few Canadians who can call themselves champions. 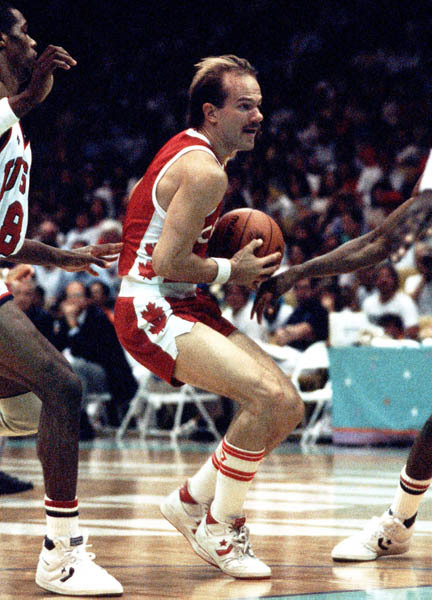 They provided Canada's greatest basketball moment – ever. I'm an American, and I remember that team. In fact, I watched the semifinal game. At least part of it. The broadcast in the US picked up the action in the second half as Team USA had cut Team Canada's lead to one. Canada rebuilt the lead from there to double digits (17 at one point, if my memory's good) and cruised the rest of the way. But you missed discussing my favorite player from that team: Danny Meagher. He's from St. Catherine's, Ontario, and played at Duke under legendary coach K. He did all the little things to help his team win; took charges, set picks, played topnotch defense, boxed out the other team's best rebounder. In this game, though, he was Team Canada's top scorer. Yes, Rob, I'm an American, but I remember that team. And was quite impressed by it.